Malcolm Goldstein is a composer/violinist who has been active in the presentation of new music and dance since the early 1960s, as co-founder/ director of the Tone Roads Ensemble and as participant in the Judson Dance Theater, the New York Festival of the Avant Garde and the Experimental Intermedia Foundation. Living in Montreal and northern Vermont, he has toured extensively in North America, Europe, Japan and elsewhere, presenting solo violin concerts and appearing as soloist with various new music and dance ensembles. Goldstein is concerned with the rich nuances of sound-texture alive in each present moment. His solo violin improvisations have received international acclaim for extending the range of tonal/sound-texture possibilities and revealing new dimensions of expressivity. As a composer, he has created a variety of unique structures that incorporate extensions of instrumental and vocal performance practices, within which performers may develop and realize their own musical insights. He has devised numerous musical notations as visual metaphors to guide the performers into the soundscape of each composition. For this concert, Malcolm will present solo improvisations and ensemble works. For the latter, he is joined by Out of Context, a large group of New Mexico musicians led by J.A. Deane employing the “conduction” vocabulary of Butch Morris – a series of hand gestures used by a conductor to communicate general parameters for real-time guided improvisation. These players are used to walking the line between composition and improvisation, and should prove to be an ideal group to play Goldstein’s open-ended, freeform music. Malcolm Goldstein has authored a number of articles regarding improvisation, including The Politics of Improvisation (Perspectives of New Music), From Wheelock Mountain: Music & Writings (Pieces/Anthology, Profile Series), and Sound Textures (Dictionary of Contemporary Music, published by E. P. Dutton). 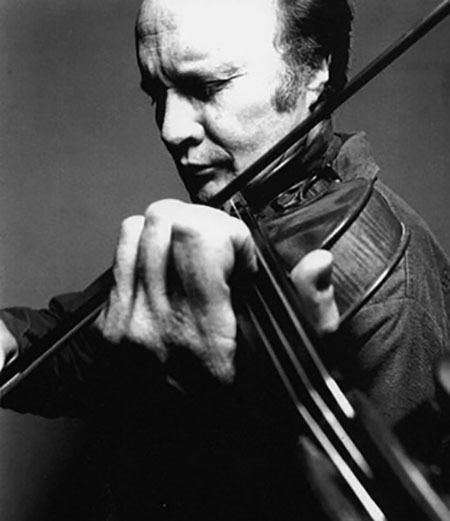 Recordings of his music have been released by ¿What Next?, Folkways, XI, Dacapo, Eremite, OO Discs, and others.